Do you like Chocolate? I sure do. 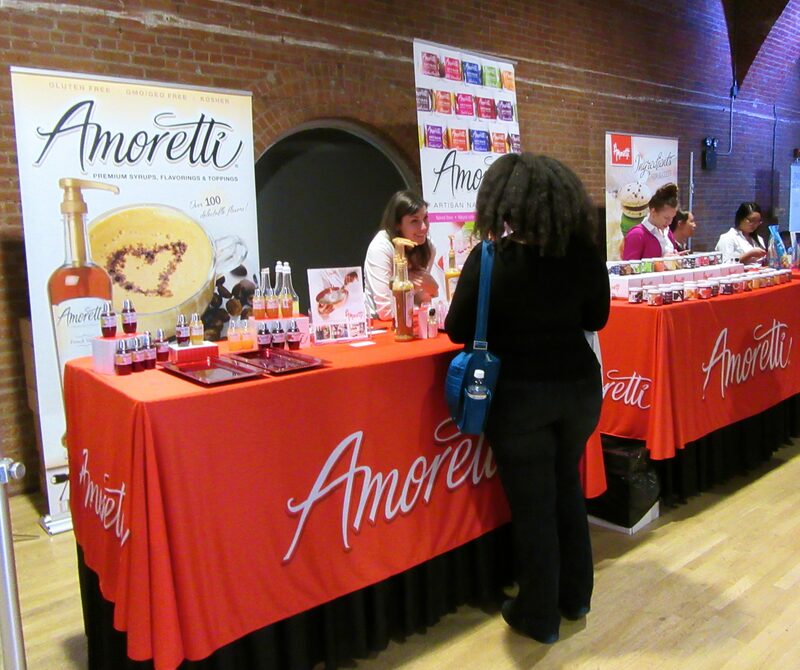 So when I was invited to attend The Big Chocolate Show that took place over the weekend of October 8th and 9th (at the Terminal Stores in Chelsea) you better believe I was there! Because Big Chocolate Show! 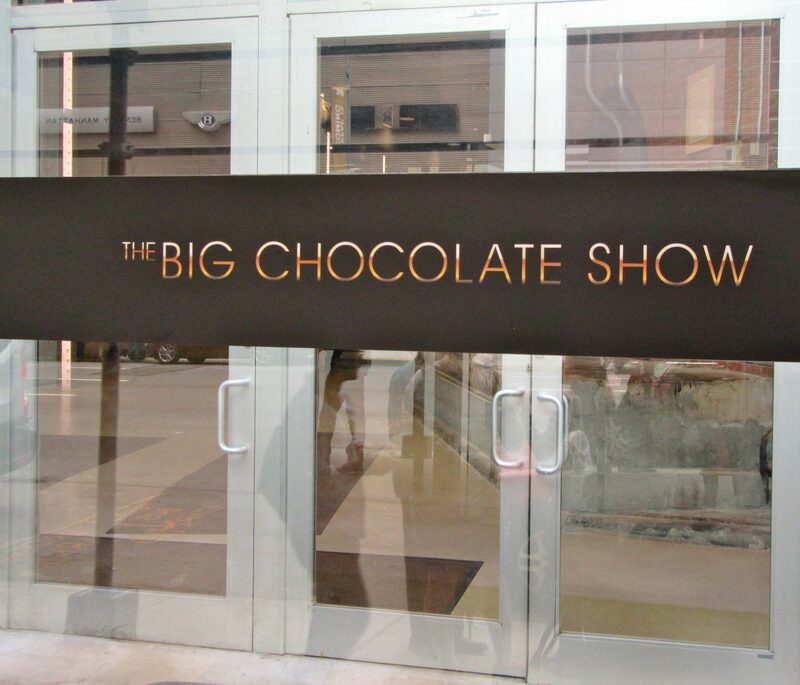 If you’ve never heard of The Big Chocolate Show, you are not alone, because this was the first of what will become an annual event — very exciting! 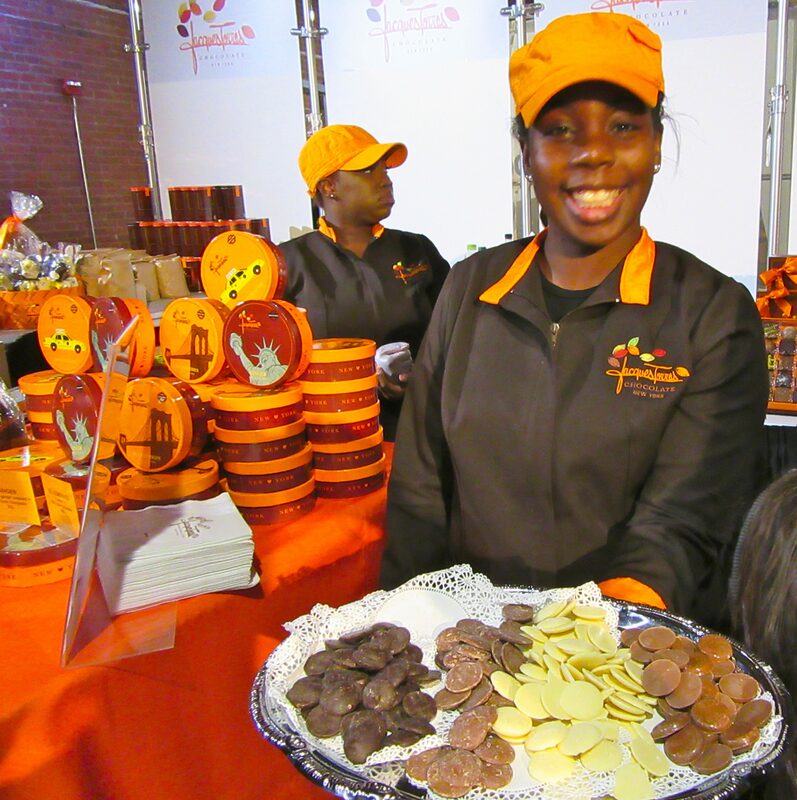 Unlike many of the food “trade” shows I’ve attended in the past, where the objective is either to promote new products to the press or to the food industry; The Big Chocolate Show was all about indulging, and educating, the consumer. 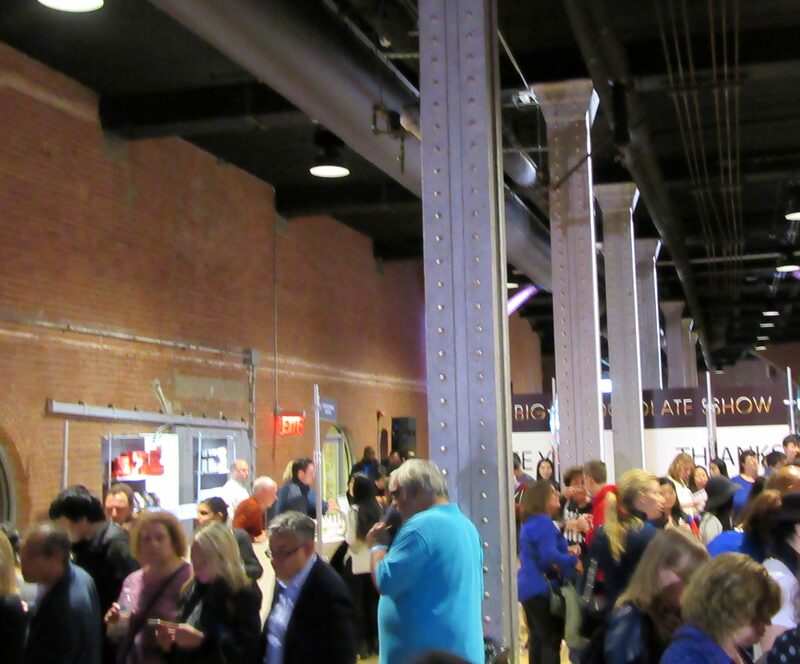 During separate morning and afternoon sessions on both days, the narrow passage of the Terminal Stores was packed with excited chocolate fans and home chefs who wanted to learn more about all of the many ways to cook with, make art with, and — last but not least — eat chocolate. 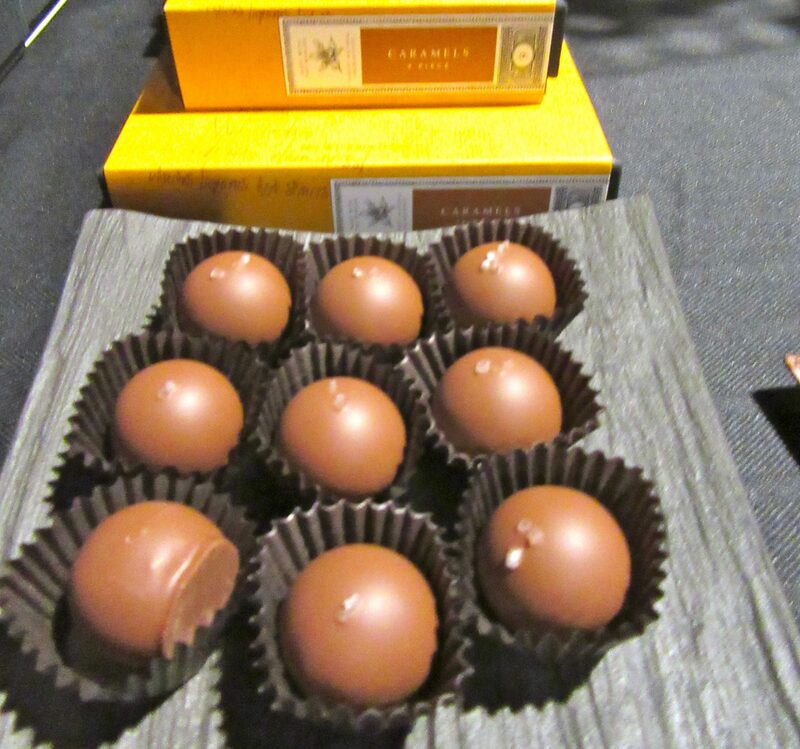 Attendees had the chance to meet some of the greatest chocolatiers, artisans, chefs and pastry chefs from Europe, North and South America, while discovering exceptional chocolate creations, and attending live demonstrations, classes and chocolate pairings. 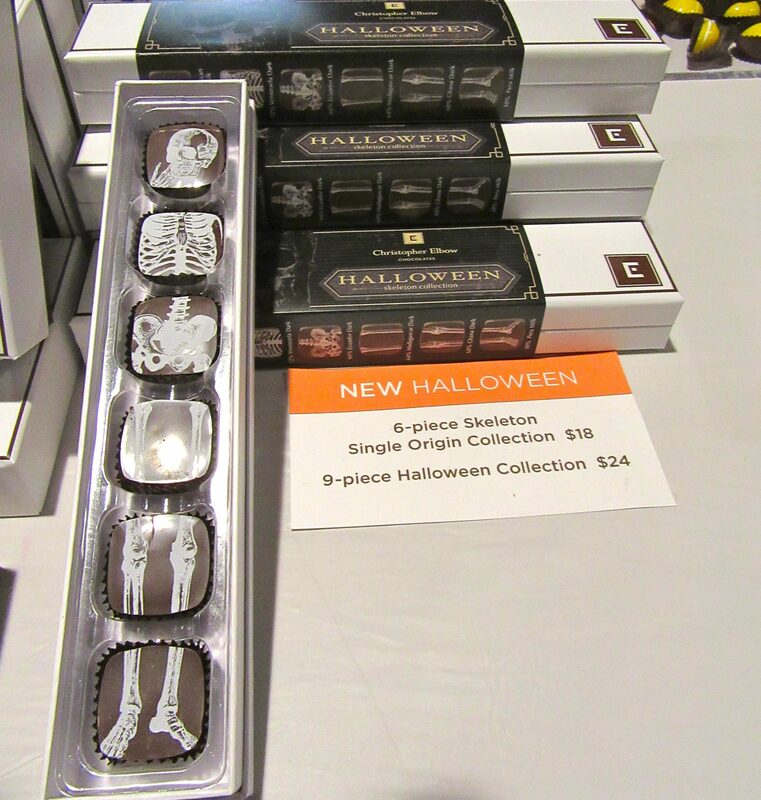 At almost every booth, displayed products were also for sale, which made this delicious event a one-stop shopping opportunity for all of the chocolate lovers on your holiday gift list. Please enjoy a selection of photos from the show, which may just get you excited to attend next year! 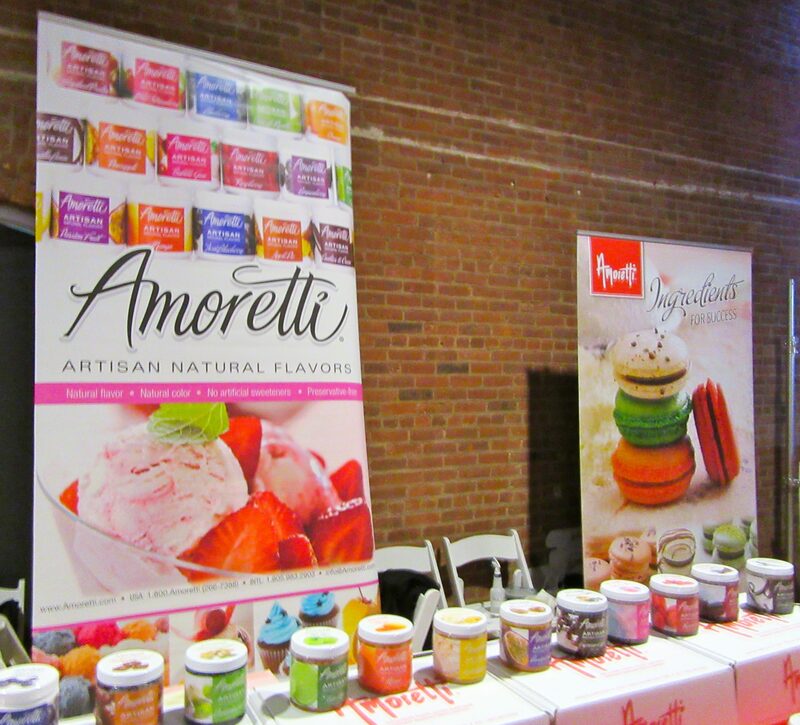 Amoretti snagged prime display real estate just inside the entrance to the event. This company makes colorings, flavorings, syrups, sauces, icings and other premium ingredients for cooking, baking and food preparation. We see them every year at the Summer Fancy Food Show. 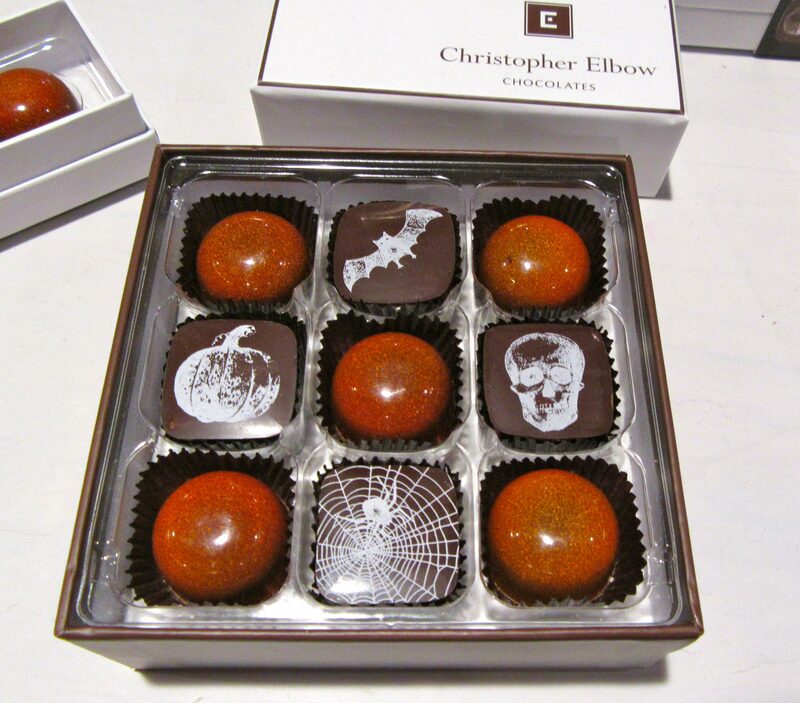 Christopher Elbow gourmet truffles and chocolates charmed the crowd with their whimsical chocolate collections decorated just for Halloween. 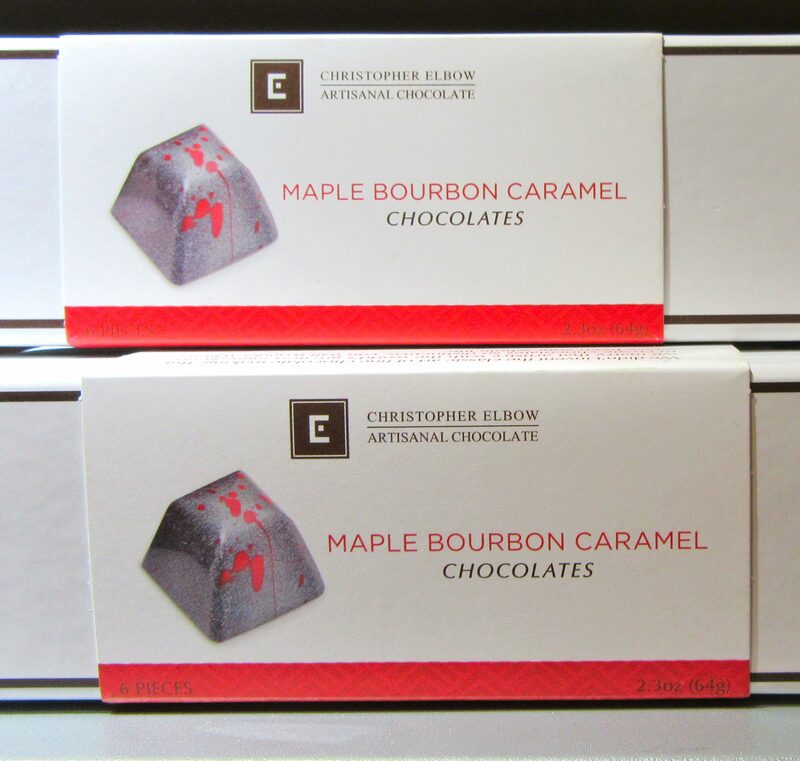 Special seasonal truffle flavors by Christopher Elbow on sale at the show included Spiced Caramel Apple, Spiced Pumpkin Caramel, and Maple Bourbon Caramel. Wow! And as you can see, they are as beautiful as they are delectable. 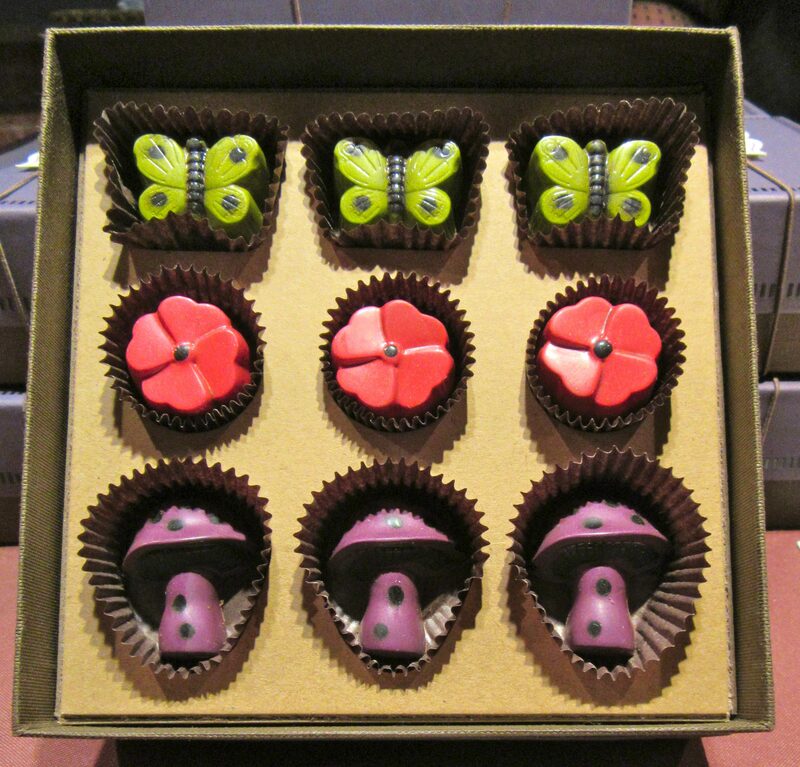 Tiny, Edible Works of Art! 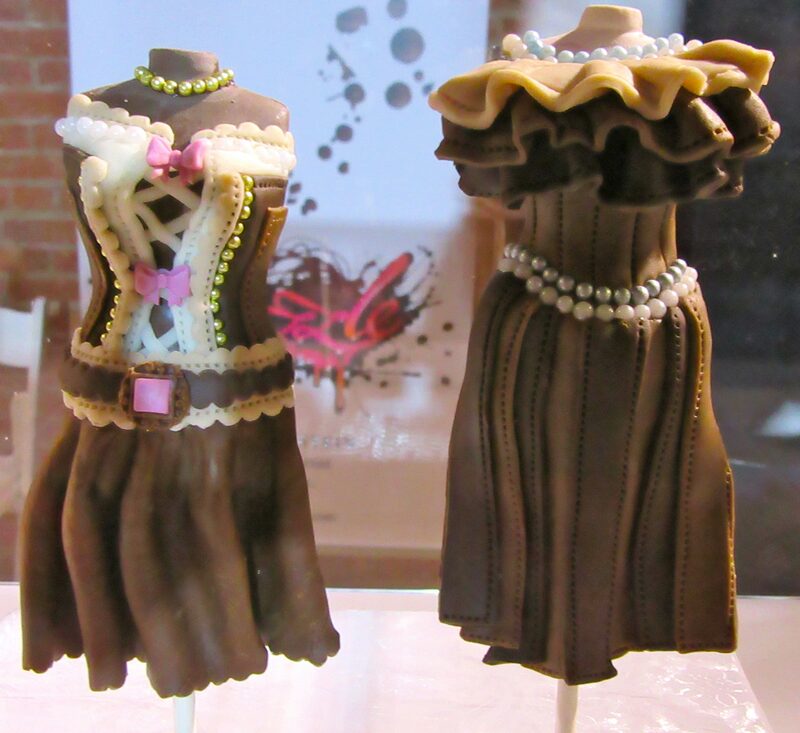 And speaking works of art, check out this line of Chocolate Fashionistas by Drizzle. 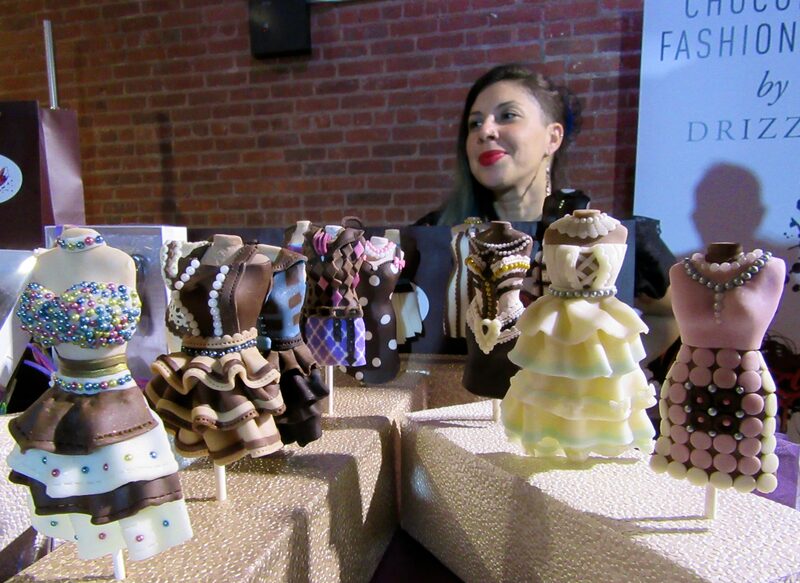 Everyone crowded around the booth to oggle and Instagram Drizzle’s collection of expertly handcrafted little chocolate dresses on sticks. Way too fancy to eat. 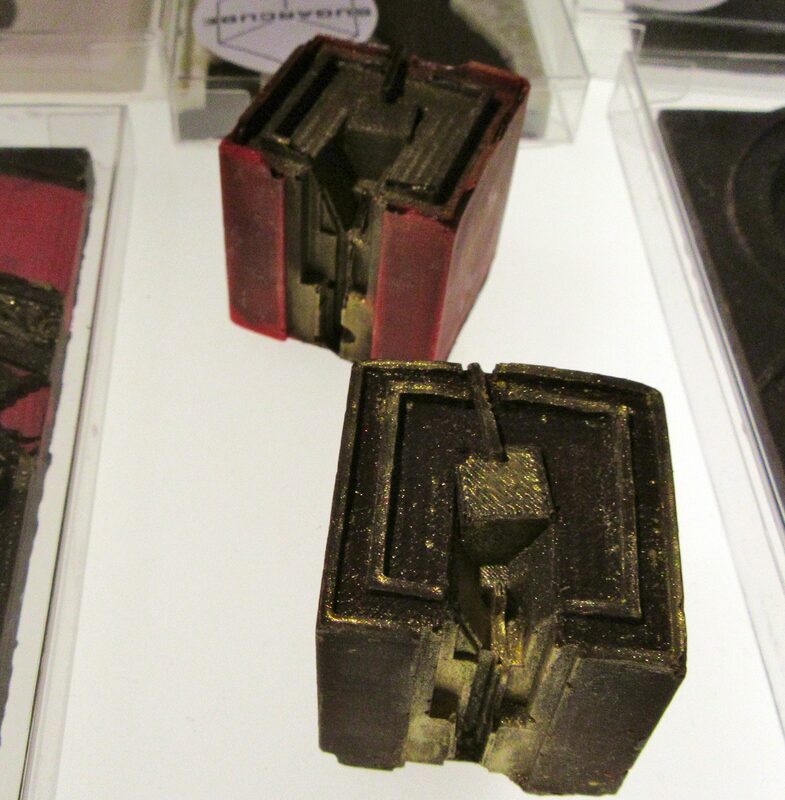 What you see above are 3D Printed Chocolate Bars from Sugarcube Dessert and Coffee Bar of Long Island City. Their slogan is “Where Food Meets Design” (we love it), and you can see why! 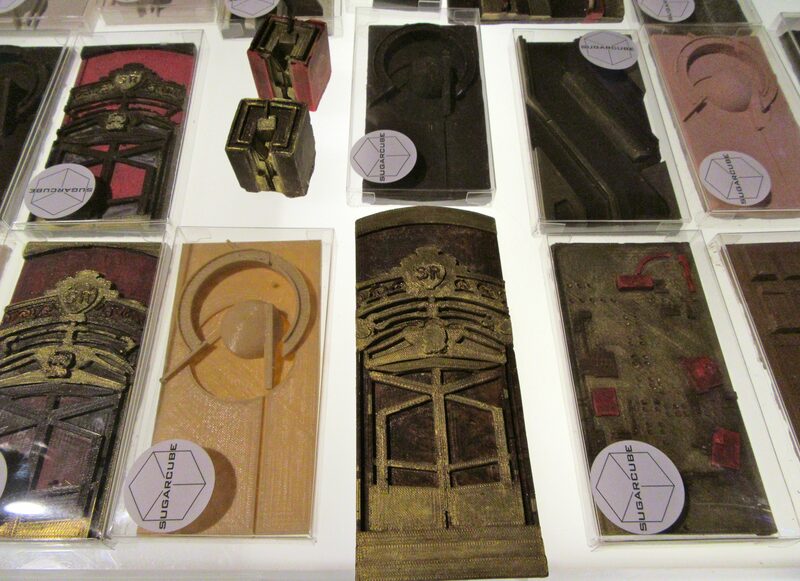 These fine chocolates were artfully designed by Peter Zaharatos, who has a background in Architecture. Very impressive! 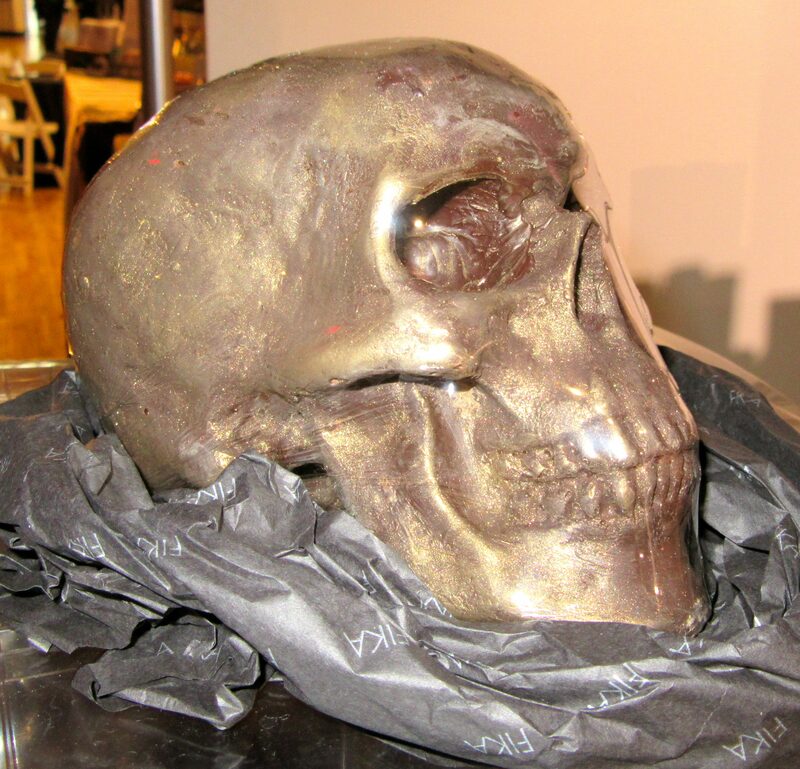 Swedish-inspired FIKA chocolates of NYC displayed this gold-leaf-enhanced Chocolate Skull. 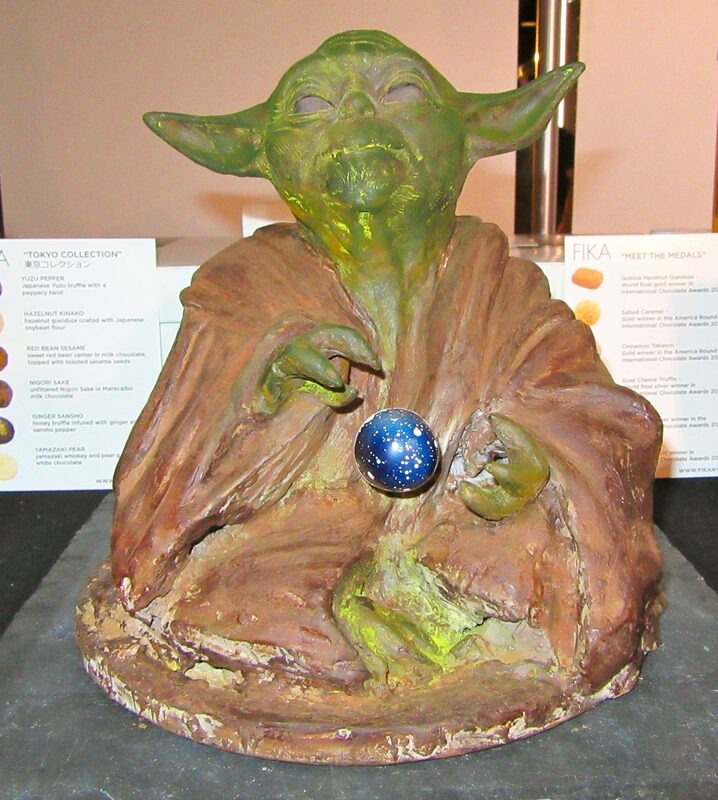 And an excellent Chocolate Yoda! 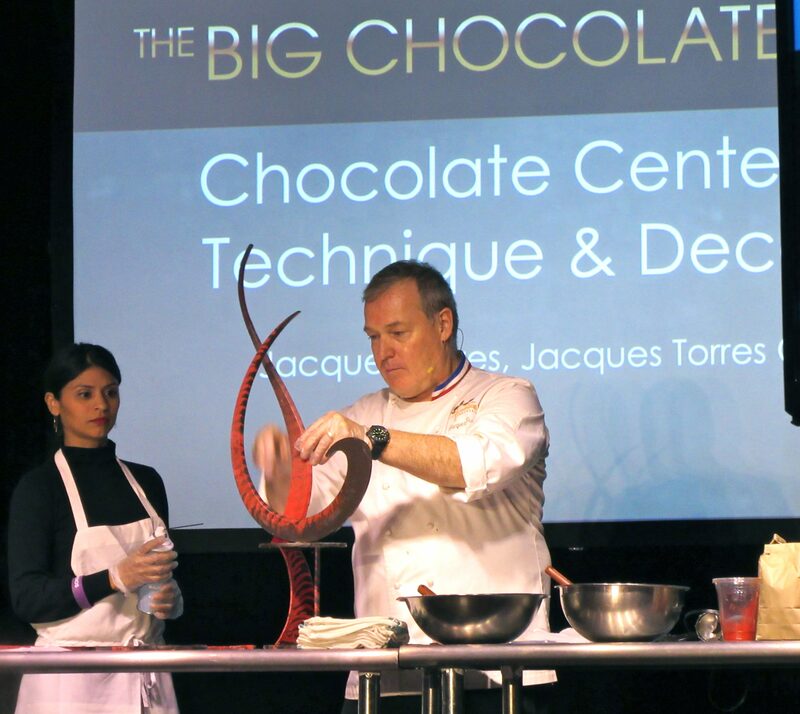 Master Pastry Chef Jacques Torres (AKA “Mr. 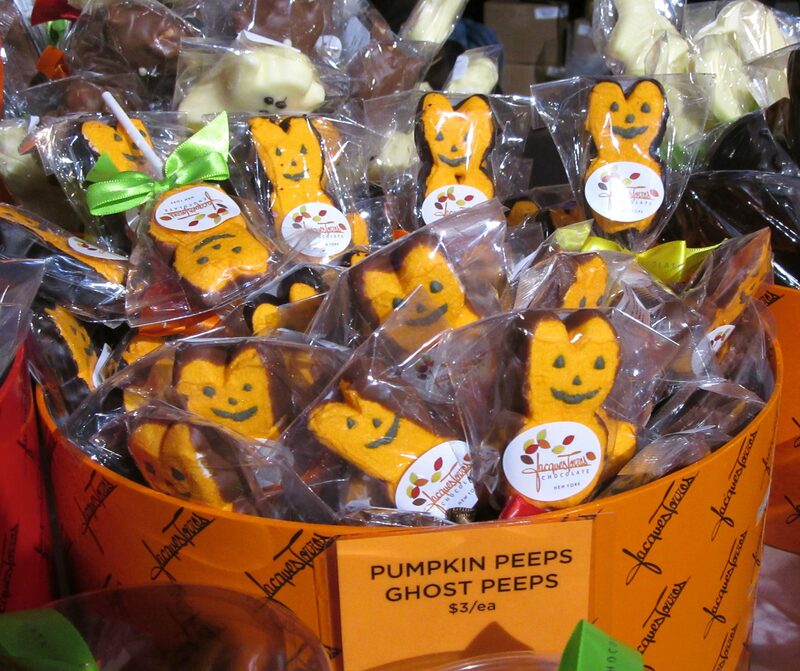 Chocolate”) went all out with his booth that was just brimming with unique NYC and Halloween-themed treats. 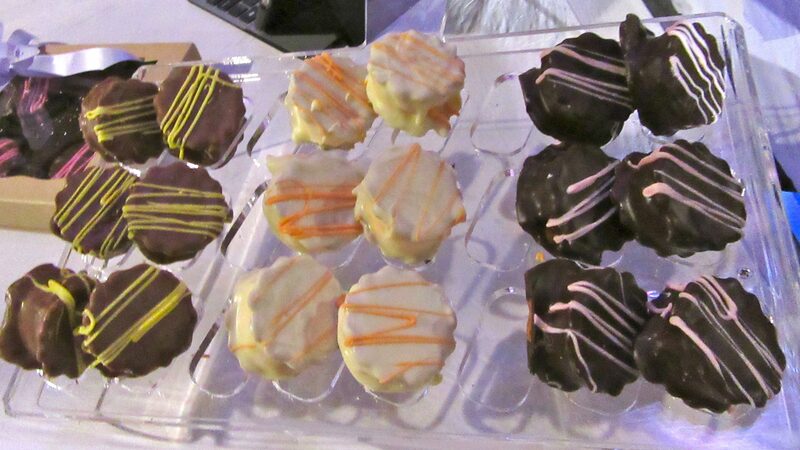 And of course, free samples of his divine chocolates, offered with a smile! 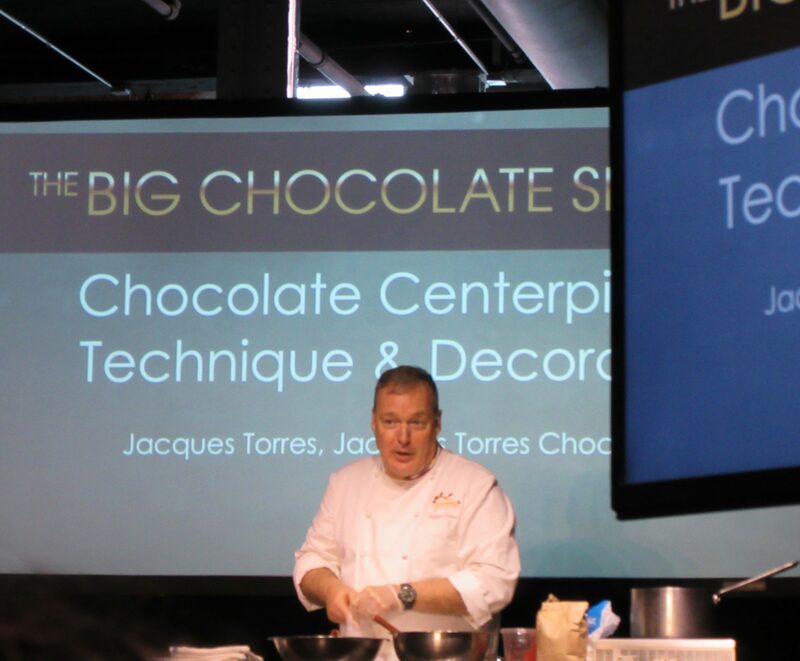 Stay tuned for more about Jacques Torres later in this post! 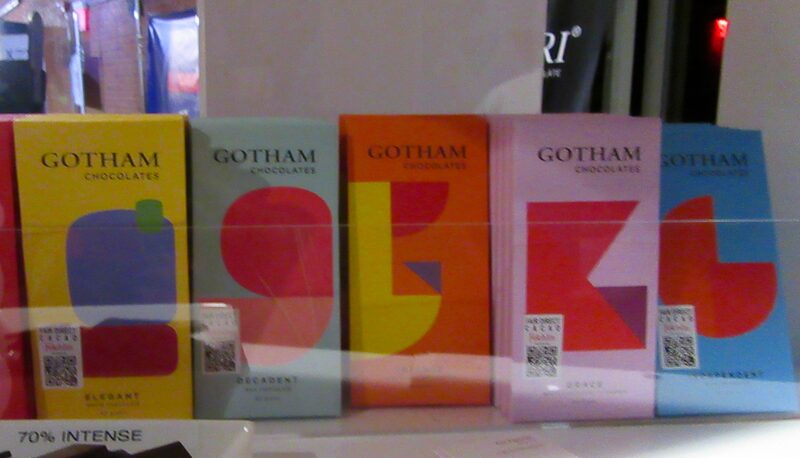 Gotham Chocolates, a subsidiary of NYCs famous Gotham Bar and Grill, makes chocolate bars that come in five varieties: Independent, Decadent, Elegant, Wild, Intense and Grace. You can see that the bars’ package design is highly influenced by minimalist modern art. Very sleek! 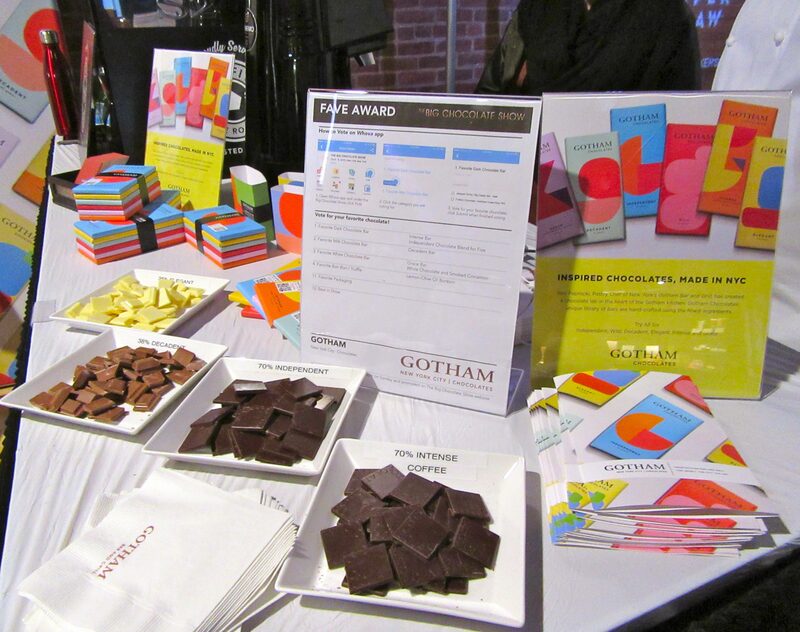 Find out more about Gotham Chocolate Bars at This Link. 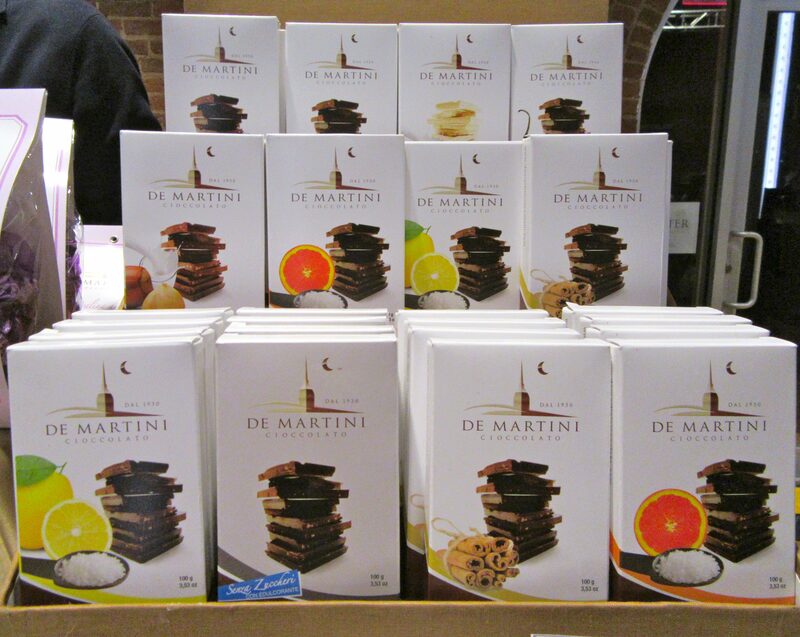 De Martini Chocolate from Italy: another excellent example of highly visually-effective minimalist packaging design! I want to eat it! Behold: The Enchanted Forest Trio by John & Kira’s! Fancy! 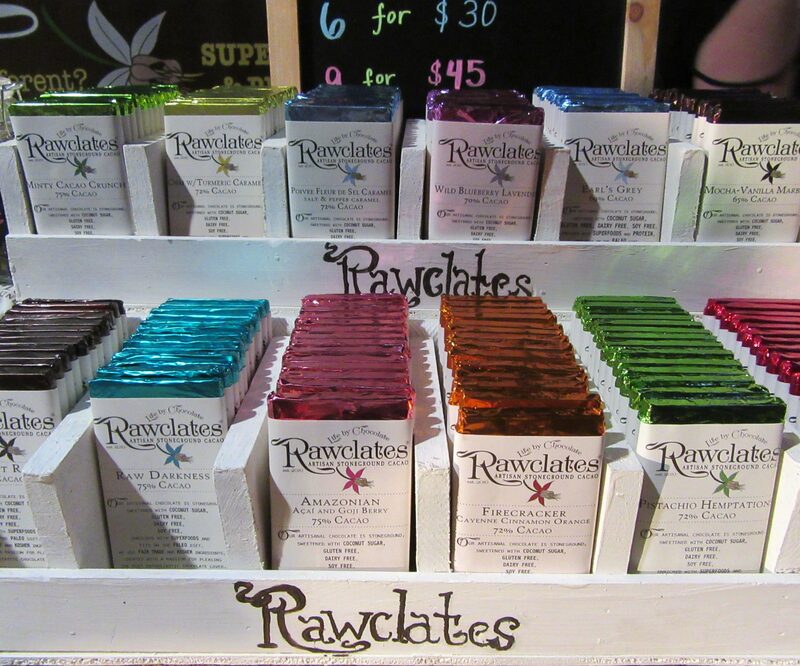 Rawclates is a line of artisinal raw chocolates that include only the finest raw organic ingredients and superfood nutrition. 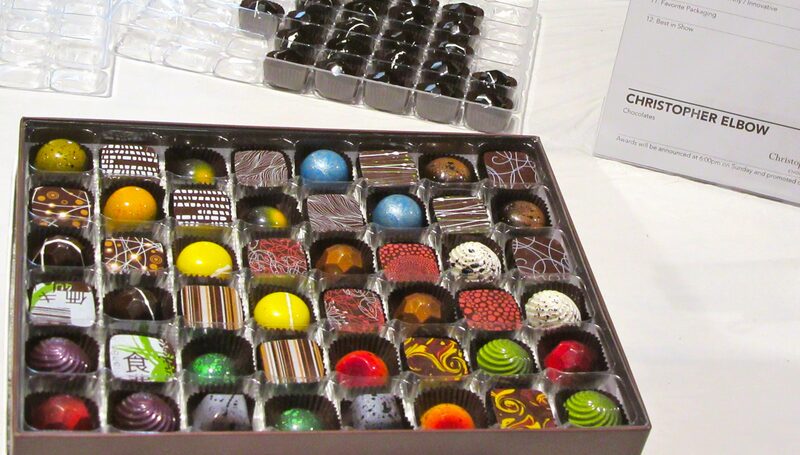 Their chocolates come in exotic bars (seen above) and fancy truffles as well. 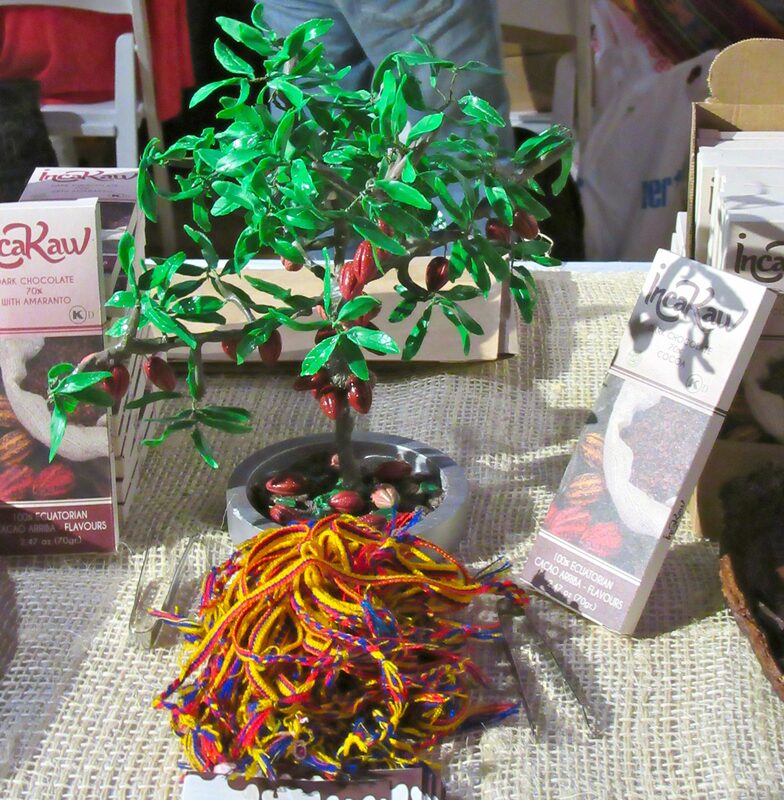 Rawclates is based in Brooklyn, New York. 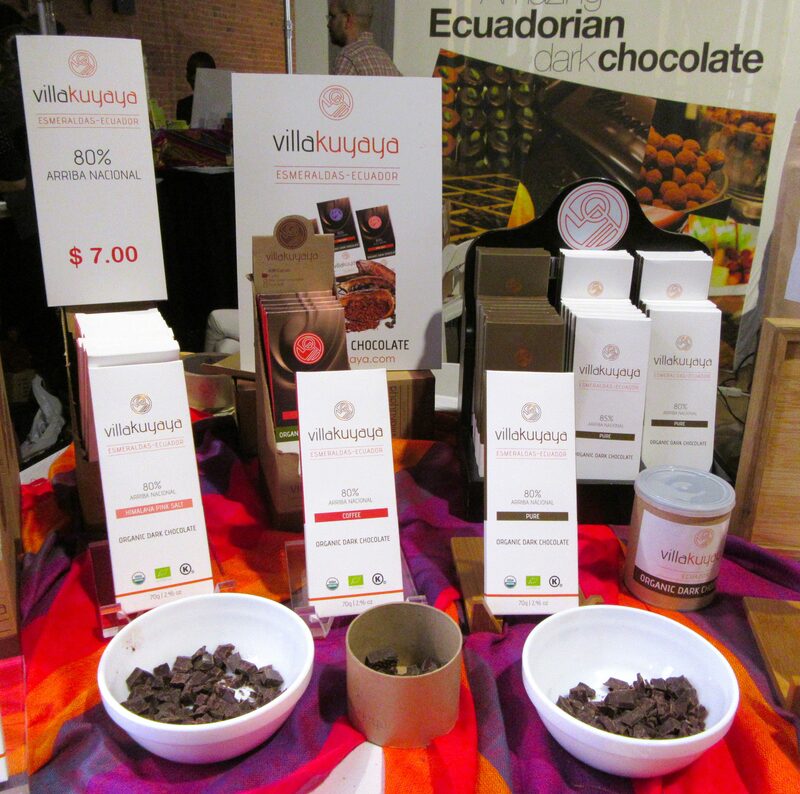 Villakuyaya is a line of Organic Dark Chocolate from Ecuador, which is created based on environmental and sustainability principles. Villakuyaya work with small farmers in Esmeraldas, a north pacific coast area of Ecuador that produces the most floral and fruity cocoa bean of the zone. This allows Villakuyaya to play with the natural flavor of the bean, and the chosen exotic inclusions for each bar, producing a dark chocolate bar that not only preserves the environment, but is also a healthy food! These bars have a unique, exceptionally fruity flavor that is just fantastic. 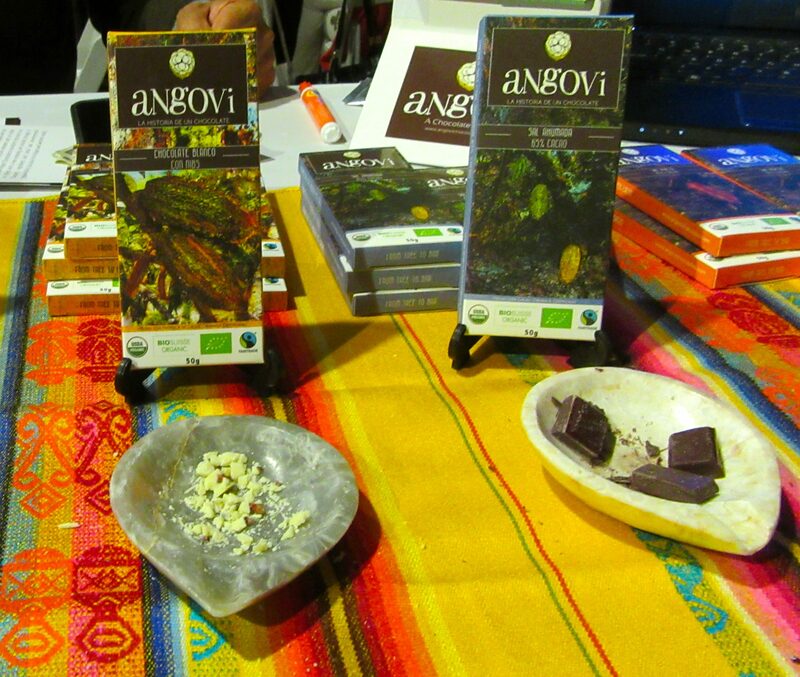 Read the fascinating story of the origin of Angovi Chocolate at This Link! 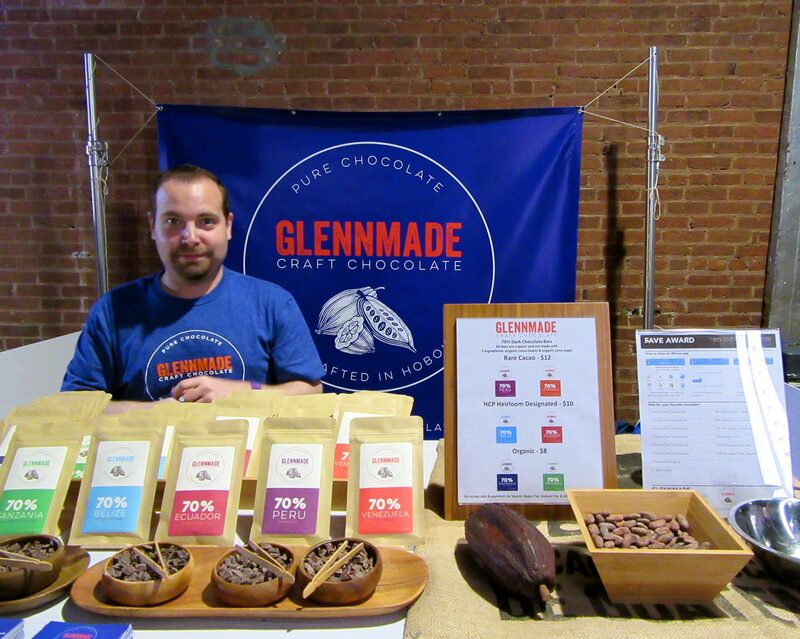 Glennmade Craft Chocolate, based in Hoboken, is a bean-to-bar handcrafter of fine dark chocolate bars. 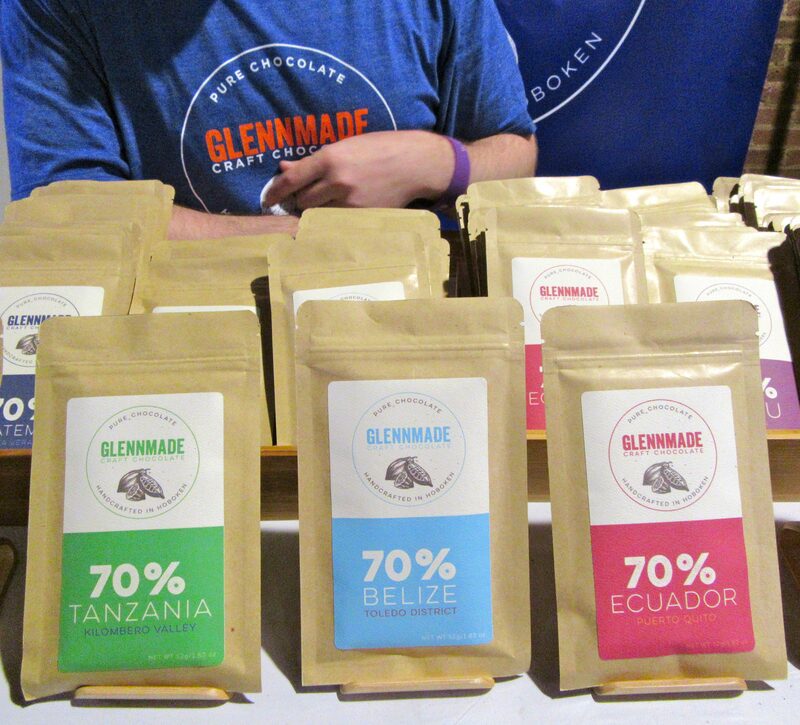 Glennmade sources premium quality and transparently sourced cacao through a growing relationships with trusted, environmentally conscious supply chain partners. 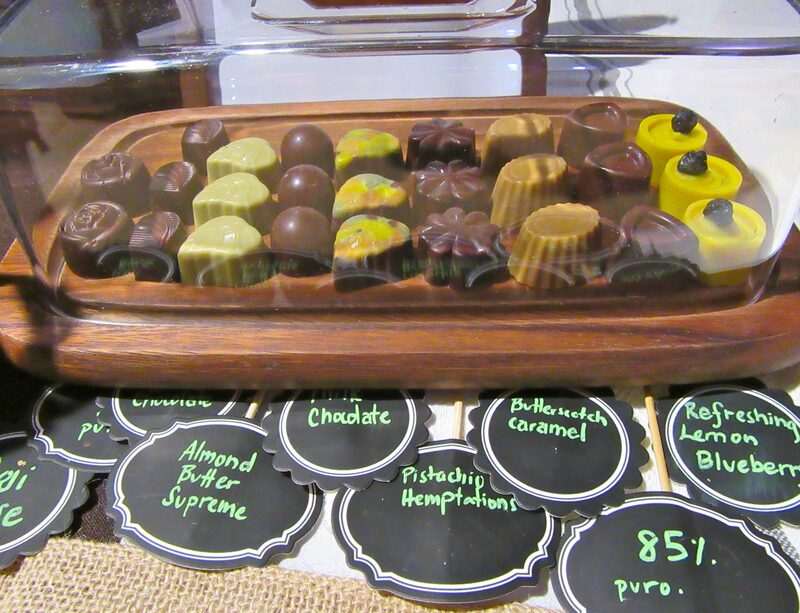 Their pure chocolate products are hand packaged in environmentally friendly kraft packaging to ensure that all chocolate lovers are able to experience the true natural flavors of each origin in every piece they taste. 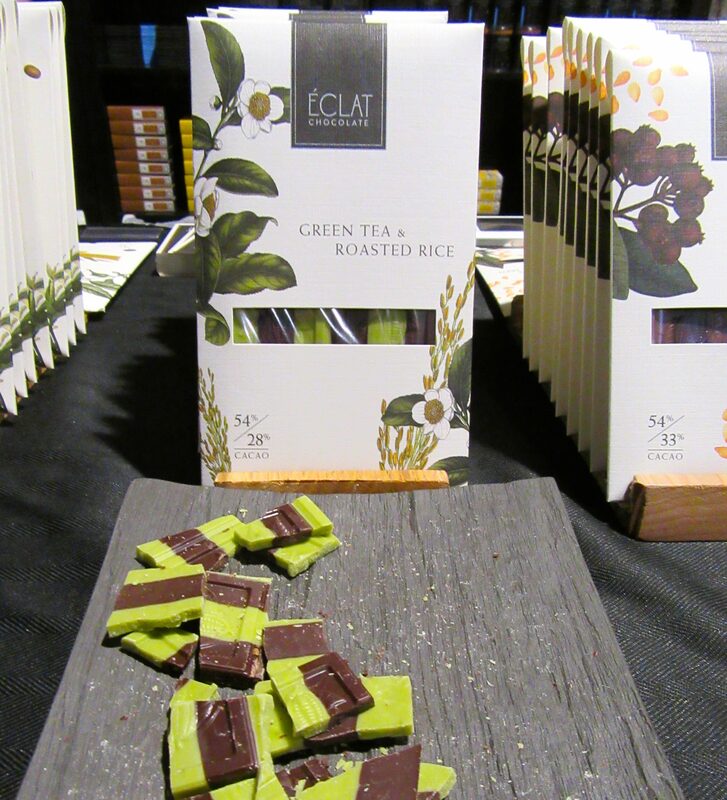 Follow a Cocoa Bean from tree to package on the journey to becoming a Glennmade Chocolate Bar at This Link. 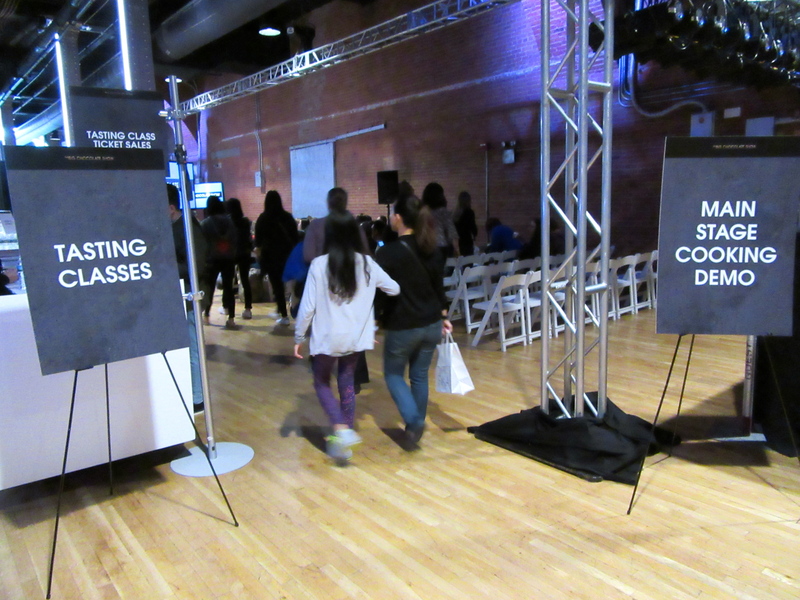 As much as I loved discovering and tasting all of the different kinds of chocolate, my favorite part of the show, by far, turned out to be the two fun and informative Cooking Demos I attended, which were held in a separate area at the rear of the exhibit space. 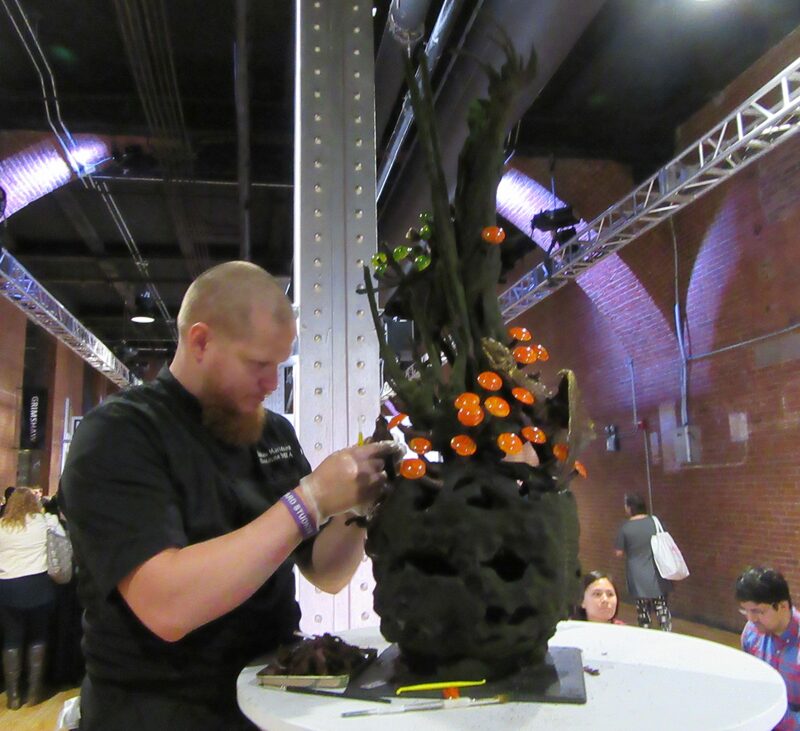 The fist session I attended was hosted by Pastry Chef Penny Stankiewicz of Sugar Couture in Williamsburg, Brooklyn, which specializes in custom handmade Wedding Cakes and Confections. 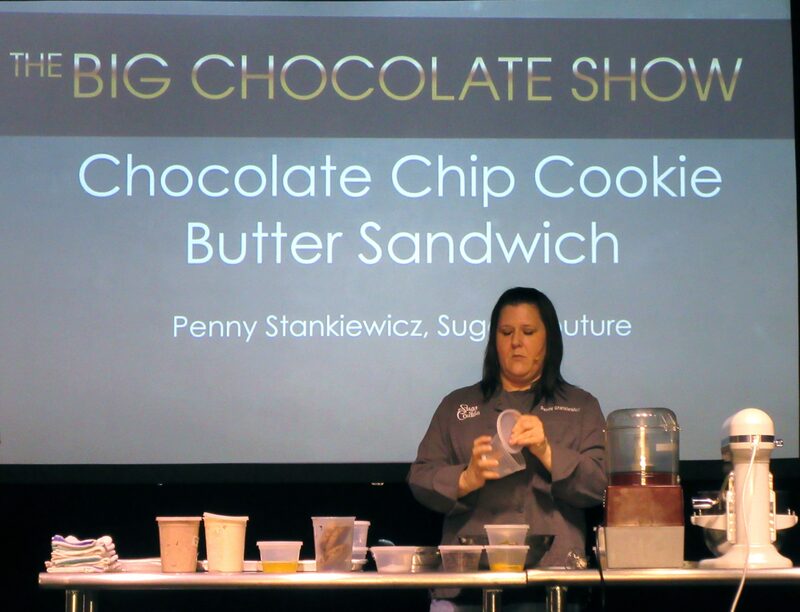 Penny showed us how to make a Chocolate Chip Cookie Butter Sandwich. 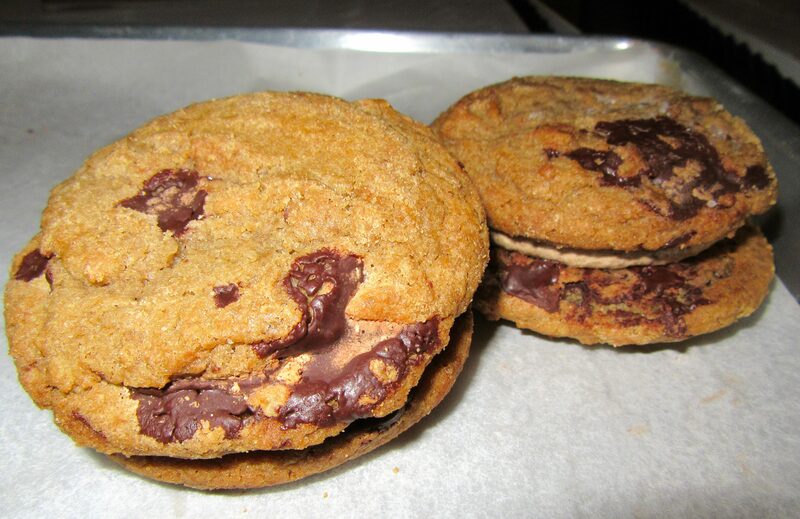 As Penny discussed and demonstrated each step in baking and assembling these indulgent cookie sandwich treats, I learned many very cool facts about baking. 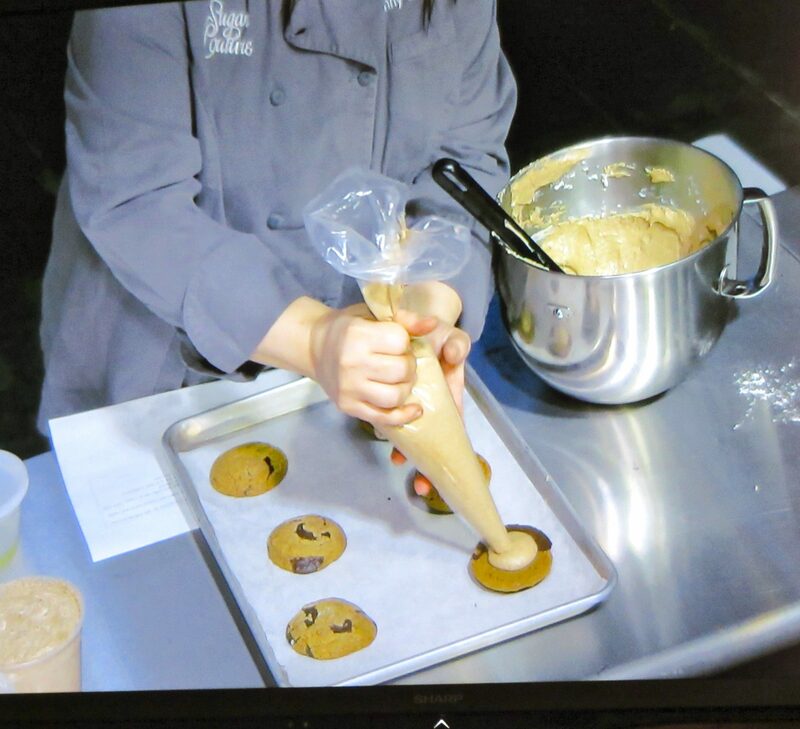 For example, Penny emphasized the importance of salt as an ingredient in a chocolate chip cookie, because it brings out the flavor of the chocolate, but she also recommended that it’s best to use sweet butter as opposed to salted butter in a recipe. This is due to the fact that salt is a preservative, so its likely that salted butter may be older than sweet butter, and you want the butter to be as fresh as possible. Fascinating! 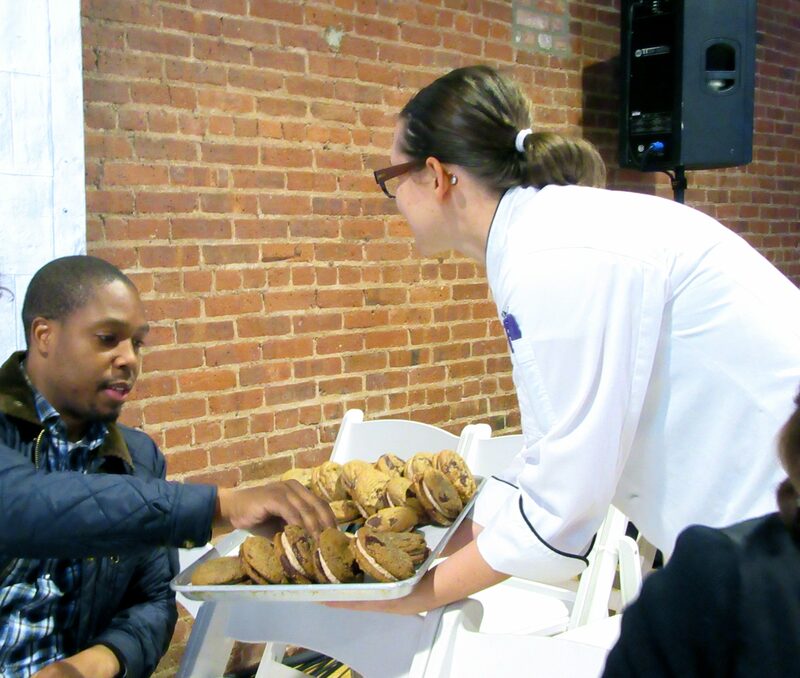 Everyone in the audience got a cookie sandwich to try. They were amazing! 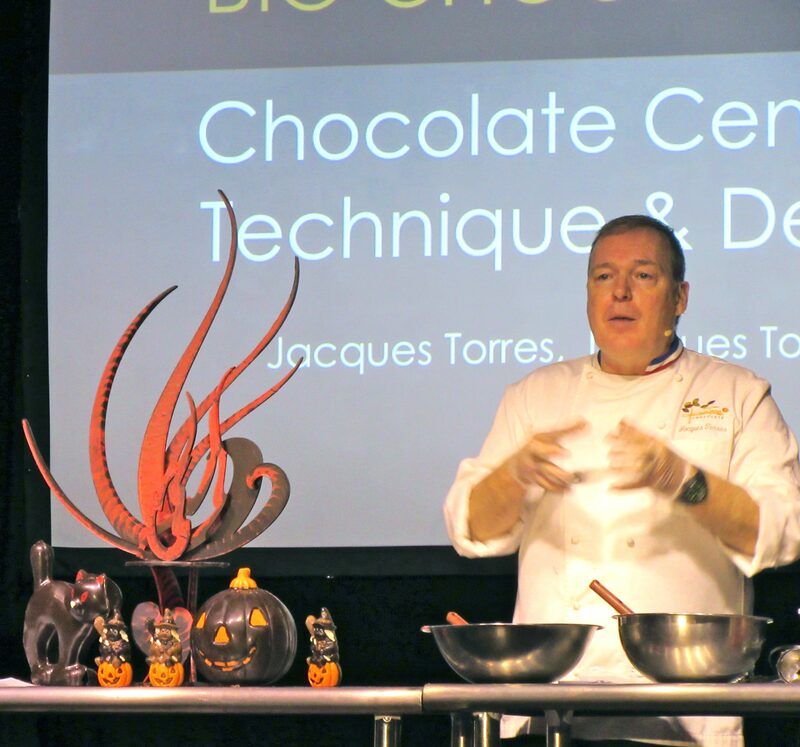 I also attended a session by Jacques Torres, who demonstrated the steps in creating a fancy, abstract-design chocolate centerpiece. 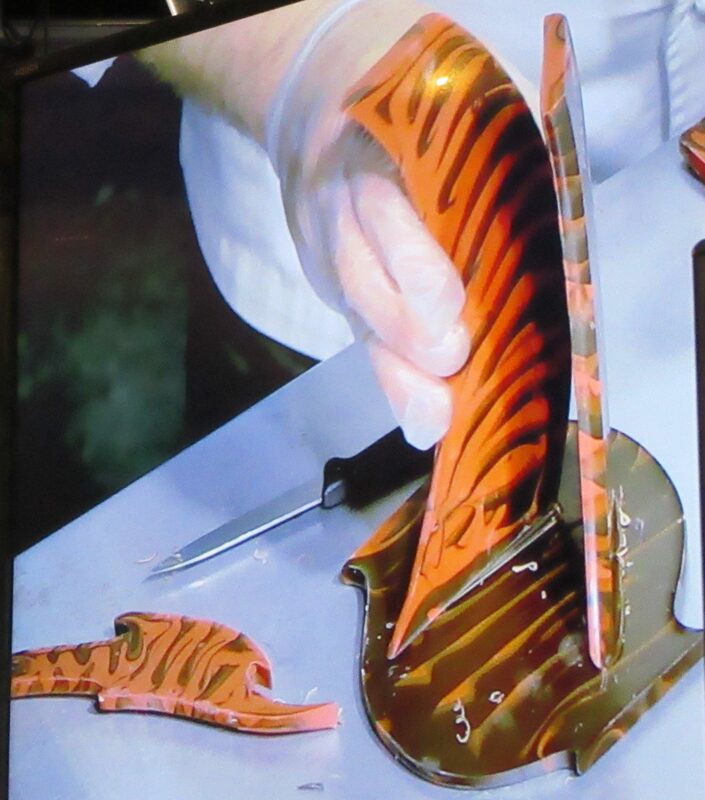 Jacques went through every step in detail: from making the mold to tempering the chocolate, to assembling the pieces so they stay together and do not fall. One secret is to make sure you “score” the chocolate piece serving as the base for the taller pieces, and use a bit of melted chocolate as the glue. When the centerpiece is assembled, decorate your table with additional festive chocolates and appropriate holiday items! Jacques is such a talented chef and he’s also very funny. Everyone received a small bag of milk chocolates as a thank you for attending the demonstration! 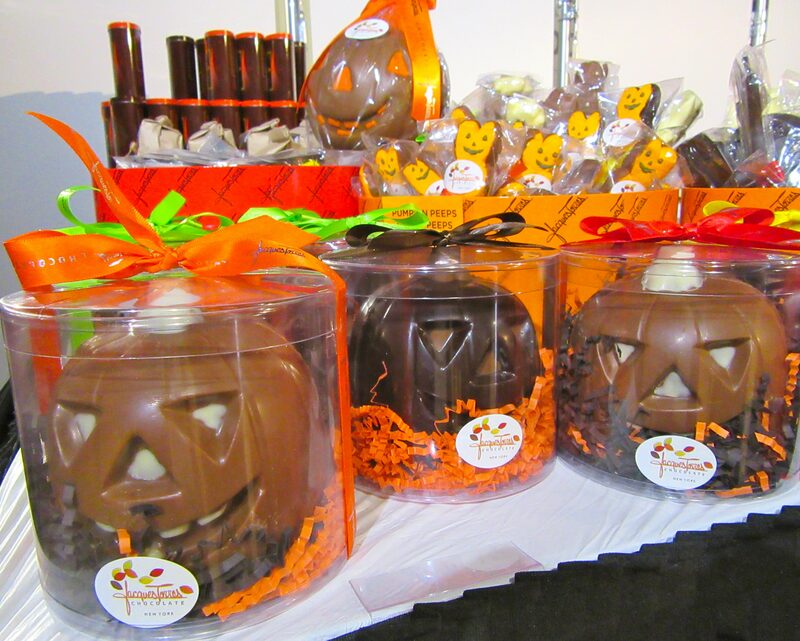 To find out more about The Big Chocolate Show, and to sign up to receive information about next year’s show, visit This Link!